New legislation to tackle alcohol misuse is “imperative” according to law-makers. Meadhbh Monahan outlines the key proposals. Alcohol misuse costs Northern Ireland approximately £900 million per year and the ministers for social development and health are eager to tackle the problem. Responsibility for drafting alcohol regulation laws rests with the Department for Social Development (DSD). Strategies that deal with alcohol abuse are drafted by the Department of Health, Social Services and Public Safety (DHSSPS); the current one is the ‘New Strategic Strategy for Alcohol and Drugs 2006- 2011’. The legislation regulating alcohol licensing and sales is contained within the Licensing Order 1996 and the Registration of Clubs Order 1996. The latter is being updated and the amended Bill passed its second stage in June. fining a premises up to £1,000 if it does not display information on under-age sales and the proof of age documents that are accepted. However, the Bill on its own is not enough, and a “crack down” on alcohol promotions is on the way. New laws to be consulted on in the autumn will include the eradication of offers such as buy one get one free, women drinking for free, and all you can drink for a set amount of money. At a future date, the DSD also plans to legislate for minimum alcohol pricing, the use of marked bags for off-licence sales to deal with adults buying alcohol for minors, and restrictions on alcohol marketing. “I want to target those retailers who sell alcohol below cost price in order to encourage higher footfall and generate sales,” Attwood added. Retail giants Asda and Tesco have welcomed minimum pricing and Asda has decided to sell 99 per cent of its alcohol at the cost of duty plus VAT. The PSNI are also implementing alcohol test purchasing throughout the province in a bid to cut down under-age drinking. And, in February this year McGimpsey announced plans to label bottles of wine, beer and spirits with cigarette style health warnings. In Scotland, the Parliament has passed the first stage of an Alcohol Bill that would set a minimum price per unit of alcohol. However, opposition parties claim it could be illegal under European competition laws and would punish responsible drinkers. 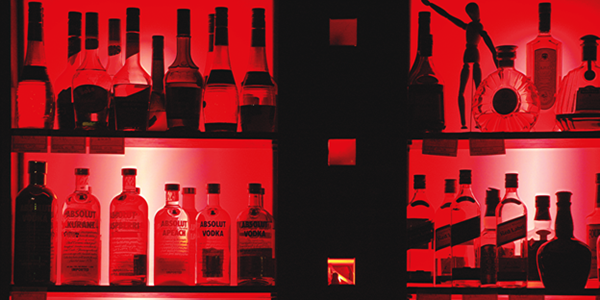 Going forward, a DSD spokesman told agendaNi that the growing evidence supporting links between alcohol pricing, alcohol consumption and social disorder has been the most significant factor influencing policy thinking. DSD officials, he confirmed, are working with the DHSSPS on minimum pricing and controls on promotions, as well as with the Irish Department of Justice on options for harmonising alcohol promotions North and South.